Thistle Floral Design is a luxury, boutique floral design studio located in Historic Downtown McKinney, Texas. My love affair with flowers began when I was a small child, and I would love to spend time in my Grandmother's garden in rural Iowa. Wandering through the blooms and greenery, taking in the beauty of it all, captivated me, even at such a young age. Her flowers evoked a sense of peace, and it was truly my most favorite and special place. My love of flowers has never waned. Floral design started 20 years ago when a sweet friend asked several in her circle to design her wedding. Knowing close to nothing about actual floral care, we froze her bouquets in the refrigerator the night before the wedding! However humble (and slightly embarrassing) that initial wedding sparked my passion, and after many years of training and study, it became clear that beautiful flowers were my gift to the world. 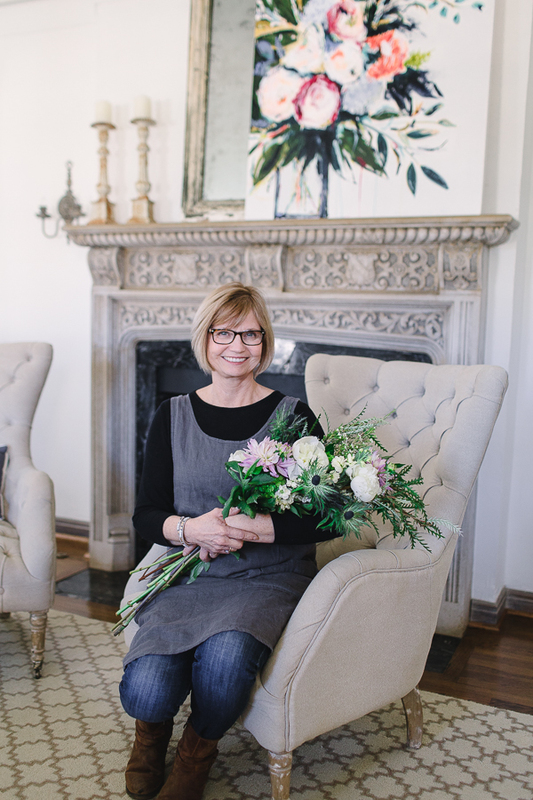 Thistle Floral Design is a luxury, boutique floral design studio situated in Historic Downtown McKinney, Texas. Surrounded by the history and nostalgia of old homes, I am lovingly reminded daily of my grandmother's garden and the Thistle Floral Design studio is the "happy place", where I cherish the opportunity to create for others. We offer wedding floral design services, special event design, and workshops. Contact us to make your event bloom.